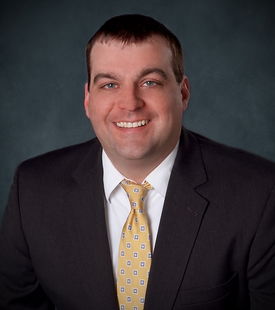 Anthony J. Ford is an Associate practicing out of the Bismarck office, and is a member of the firm’s Oil and Gas Practice Group. Tony graduated with honors and the Oil and Gas Law Certificate from Washburn University School of Law in December 2014, and earned a B.A. in Government from Hamilton College in 2002. During law school, he served as Articles Editor of the Washburn Law Journal and as a research assistant to Prof. David Pierce (oil and gas law) and Prof. David Rubenstein (administrative law). He was the 2014 winner of the David P. Phillips Scholarship from the Rocky Mountain Mineral Law Foundation. Tony interned at Crowley Fleck in 2014. In the summer of 2013 he interned at Chesapeake Energy Corporation, in the Land Department’s Haynesville Division.